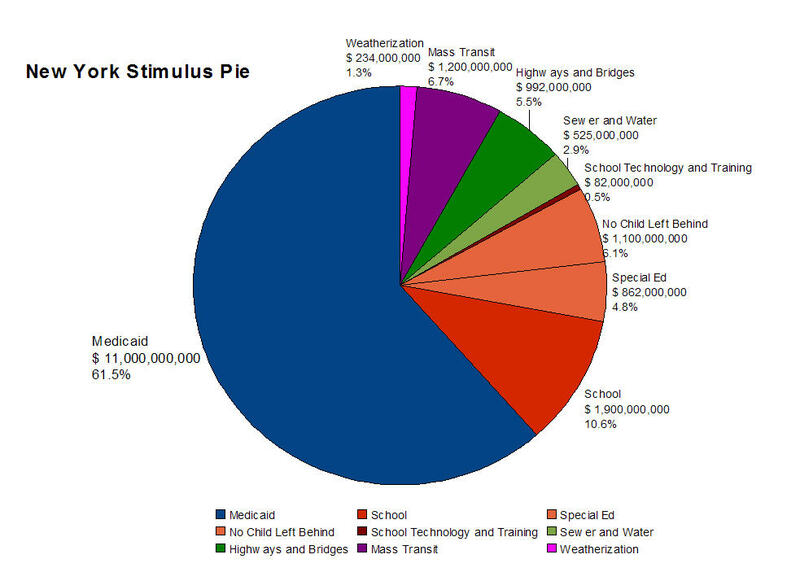 So there seems to be some talk about Stimulus spending. Political IV is running down the Pork Items. He helpfully reminds us of our friend Chuckie. Actually, I think we do care. Some highlights include, “$39 billion slush fund for “state fiscal stabilization” bailout” and “$650 million for the DTV transition coupon program”. I’ll take a Raspberry Slushie! Meanwhile, Brian is agonizingly cogitating about Free Trade over at The In Box – here, here, and here. Why can’t some real economists chime in? Anyways, with our New York State Batman and Robin leading the charge, I suppose all of our problems are over. I thought I’d take the numbers and bake a pie. A $17,895,000,000 pie. Guess which special interests are represented here? 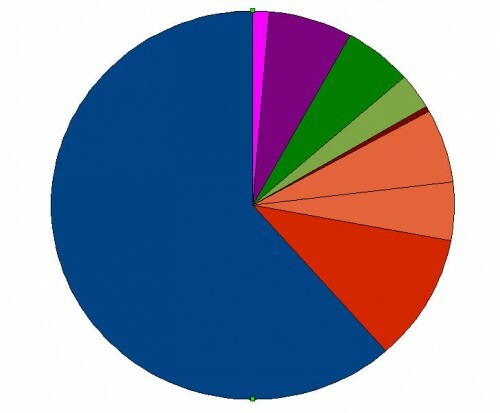 Blue=Health, Reds=Education, Green=Infrastructure, and Purple=Energy. Click for the big chart. Enjoy.